After the two successful weeks, Luka Chuppi has passed its third week as well on a good note due to the absence of any new major release at the box office. 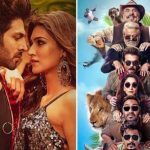 Already existing Total Dhamaal has also remained unaffected on single screens and maintained a steady pace in its fourth week. 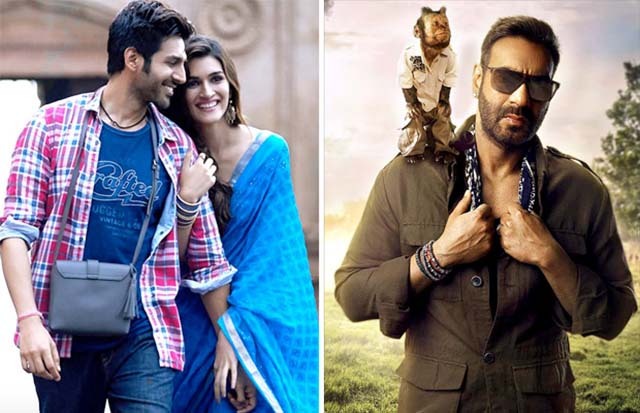 Starring Kartik Aaryan & Kriti Sanon, the funfilled romantic comedy has created the right buzz among the young audience and did the business of 53.70 crores in the first week and 21.54 crores in the second. In the third weekend, it bagged the amount of 7.27 crores with 1.62 crores on Friday, 2.25 crores on Saturday & 3.40 crores on Sunday. Then on weekdays, despite a drop in footfalls, Luka Chuppi managed to collect 1.33 crore on 3rd Monday, 1.35 crore on 3rd Tuesday & 1.17 crore on 3rd Wednesday. On the next day i.e. 3rd Thursday, Laxman Utekar’s directorial minted the amount of 0.63 crore and raised 3 weeks total domestic collection to 86.99 crores nett. On the other hand, the third instalment in Dhamaal franchise, Total Dhamaal did the business of 94.55 crores in the first week, 38.05 crores in the second & 13.11 crores in the third. In the fourth weekend, it garnered the business of 5.05 crores with 0.95 crore on Friday, 1.60 crores on Saturday & 2.50 crores on Sunday. On weekdays, Indra Kumar’s directorial managed to collect 0.75 crore on 4th Monday, 0.70 crore on 4th Tuesday & 0.70 crore on 4th Wednesday. On the next day i.e. 4th Thursday, Total Dhamaal scored 0.40 crore on board and raised its 4 weeks total collection to 153.31 crores nett at the domestic box office.